Benjamin Meuli has been a member of the Board of Directors of GAM Holding AG since April 2016. He has also served as a member of the compensation committee (until April 2018) and the audit committee (since 2016), the latter being under his chair since May 2017. 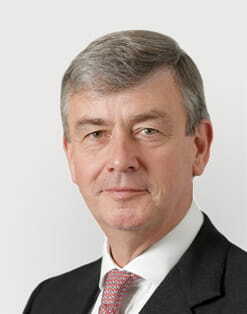 Benjamin was the chief investment officer at XL Group, a position he held from 2015 until his retirement in December 2016. Between 2009 and 2015, he was chief financial officer and member of the Group Executive Committee and the Board of Directors of Catlin Group Ltd., where he was also responsible for the company's investment portfolio. Benjamin was the chief investment officer and a member of the Executive Board at Swiss Re between 2004 and 2008. Prior to joining Swiss Re, he was a managing director at Morgan Stanley with responsibility for coverage of large multinational insurance groups with a particular focus on asset and liability management. He started his career at JPMorgan, where he spent 20 years in a variety of roles, mostly in capital markets and investment banking. Benjamin holds an MA in politics, philosophy and economics from Worcester College, Oxford, and an MSc in agricultural economics from Oxford University. He was born in 1956 and is a Swiss and UK citizen.